Flint-based McLaren Health Care Corp. has appointed Robert F. Flora as its first chief academic officer/designated institutional officer. In his new position, Flora’s responsibilities include administering all McLaren Health Care graduate medical education programs, ensuring McLaren reaches all applicable requirements and standards set by the Accreditation Council for Graduate Medical Education, and supervising all academic-related scholarly activity. Flora, of Novi, has more than 20 years of experience working in the healthcare industry. He previously served as professor and vice chair of obstetrics and gynecology at Northeast Ohio Medical University. He also worked as founding section chief of urgynecology and reconstructive pelvic surgery at Summa Health System in Akron, Ohio. 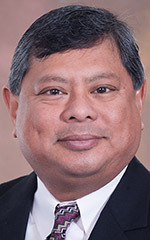 He comes to McLaren from Providence-Providence Park Hospital in Southfield and in Novi, where he served as director of medical education and designated institutional officer. Flora earned a Master of Business Administration from the University of Tennessee, as well as a master’s degree in public health from the University of Akron in Ohio. He completed his medical degree and residency training at the Medical College of Ohio and fellowship training in Connecticut and New York.